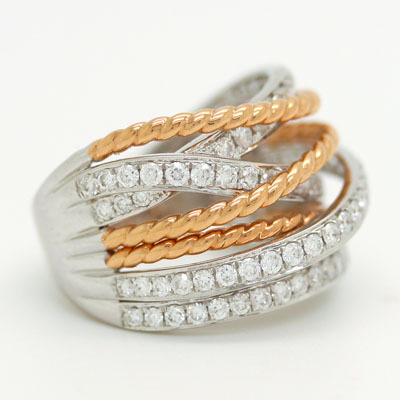 White & Rose Gold Multi-Row Band Ring With Diamonds at Reliable Gold in Providence, RI Reliable Gold Ltd. 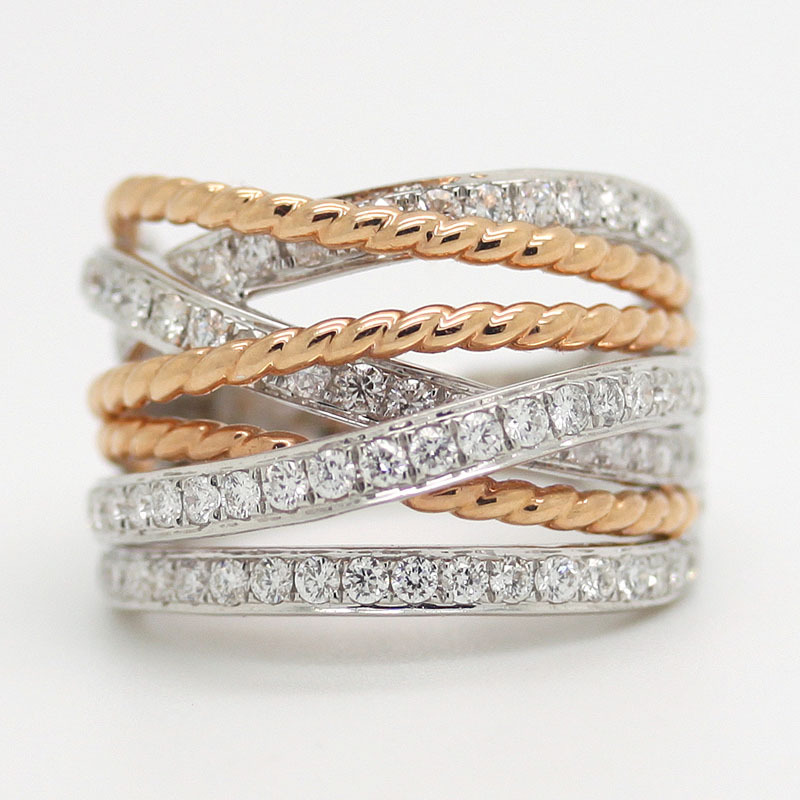 Fashionable and wearable multi-row wide band with twisted 18K rose gold rows and rows with diamonds (approximately 1.30 carats total weight) in 18K white gold. 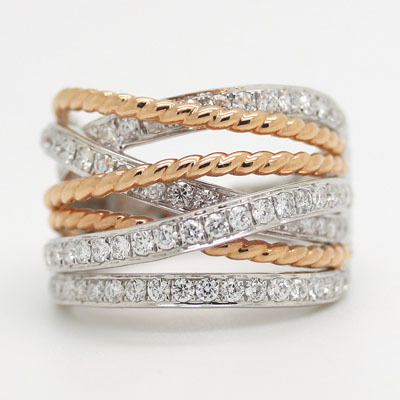 Truly lovely!